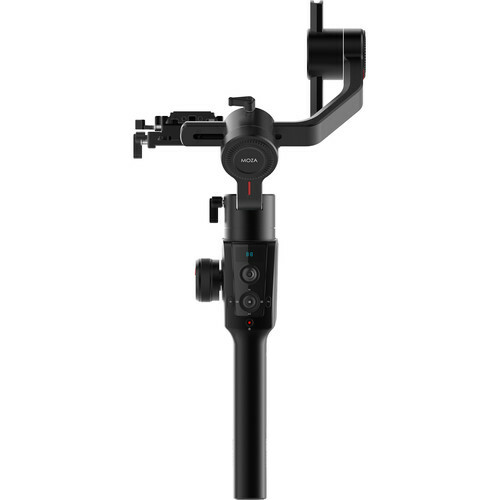 Another standout aspect of the Air 2 is that it clears and provides an unobstructed view of the camera LCD thanks to an angled motor arm. 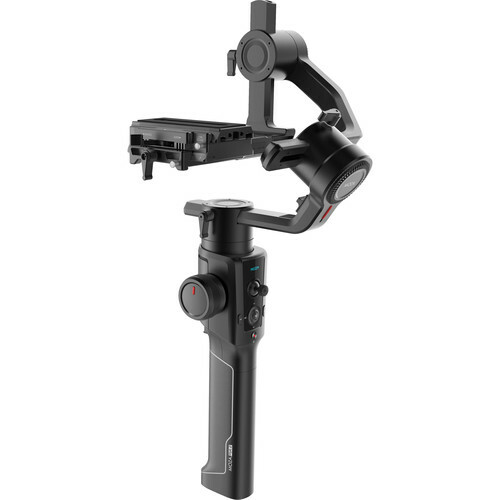 There is a total of 12 physical buttons for controlling the gimbal and camera, as well as adjusting settings such as shutter, aperture, and exposure compensation (where applicable). The joystick, smart wheel, and smart trigger controls are customizable in multiple combinations for different shooting styles. Most of the settings and customizations, as well as the gimbal status, are confirmed on an OLED display that provides intuitive information feedback. The Air 2 is easy to balance thanks to visual markers and other identifiable information. 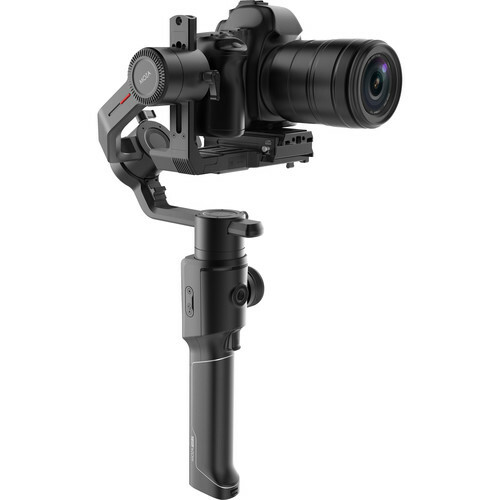 It also has a mechanical memory quick release system that helps readjust the camera without having to rebalance the gimbal. 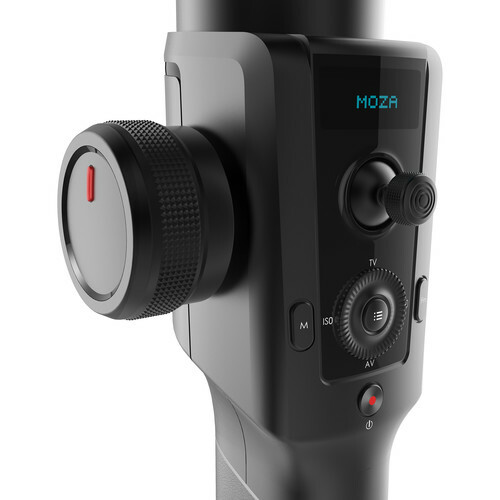 For tripod mounting and attaching accessories, the Moza Air 2 provides a 1/4"-20 threaded hole on the bottom of the handle and one on the side.